University of Hyderabad Recruitment 2019 - Job notification for Assistant Professor Post in University of Hyderabad, Hyderabad, Telangana on Temporary Basis. Applications are invited by University of Hyderabad on or before 10 May 2019 for 1 vacancy. Ph.D. in Psychology with a minimum of 55% aggregate marks and a consistently good academic record. Eligible candidates may send their application along with a copy of curriculum vitae with details of academic qualifications, work experience and copies of certificates in support of qualifications and experience to Prof. Ramesh Kumar Mishra Head, Centre for Neural and Cognitive Sciences Prof. C.R. Rao Road, Gachibowli University of Hyderabad Hyderabad 500 046, Telangana E.Mail: rkmishra@uohyd.ac.in on or before 10 May 2019. University of Hyderabad Recruitment 2019 - Job notification for Research Associate Post on a project entitled “Single Crystal Perovskites: Telescoping Syntheses and its Goldilocks for High-Efficiency Solar Cells.” in University of Hyderabad, Telangana on Temporary Basis. Applications are invited by University of Hyderabad on or before 09 May 2019 for 1 vacancy. University of Hyderabad Recruitment 2019 - Job notification for JRF Posts on a project entitled “Development of dimensionally stable and electrically conductive nano-boron doped diamond thin film based bi-polar electrolysis-cell prototype for simple and energy efficient cold incineration of organic pollutants in municipal/industrial waste-waters” in University of Hyderabad, Hyderabad, Telangana on Temporary Basis. Applications are invited by University of Hyderabad on or before 30 Apr 2019 for 2 vacancies. 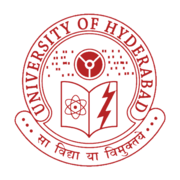 University of Hyderabad Recruitment 2019 - Walk in for Guest Faculty Posts in University of Hyderabad, Hyderabad, Telangana on Temporary Basis. Candidates are invited by University of Hyderabad to attend walk-in-interview to be held on 22 Apr 2019 10:00 AM for 3 vacancies. University of Hyderabad Recruitment 2019 - Apply Online for 11 Group B & C Posts in University of Hyderabad, Hyderabad, Telangana on Temporary Basis. Online Applications are invited by University of Hyderabad from 20 Mar 2019 to 25 Apr 2019 for 11 vacancies.